sPipe is the simple surface pipeline sizing software in the pengtools. 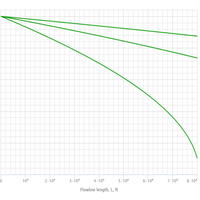 sPipe calculates the pressure drop in oil, gas and water flowlines. sPipe is available online at www.pengtools.com. Choose between Metric units and US oilfield units. Oil, gas and water flow Beggs and Brill Brill, J.P. and Mukherjee, H. 1999. Multiphase Flow in Wells. SPE Monograph, Vol. 17, Society of Petroleum Engineers, Richardson, TX. Dry gas flow Fanning Cullender, M.H. and Smith, R.V. 1956. Practical Solution of Gas-Flow Equations for Wells and Pipelines with Large Temperature Gradients. Trans., AIME 207: 281.